Another Big Pop: Shares of GoPro Inc. (NYSE: GPRO) popped another 25% this afternoon, a day after the company went public. Shares are now pushing the $40 barrier after opening yesterday at $24. The IPO is the largest in the consumer electronics sector in more than two decades. A Bad Day for Carl: Shares of Dollar General Corp. (NYSE: DG) dropped by as much as 8% on Friday on news that its Chief Executive Officer Rick Dreiling will retire next year. The announcement drives a nail through the possibility of a merger with its primary rival Family Dollar Stores Inc. (NYSE: FDO). Activist investor Carl Icahn has been calling for a merger between the two companies after he increased his holdings in Family Dollar to 9.39%. Shares of Family Dollar slipped by 3% on the day. Another Day, Another Recall: Reuters reports that General Motors Co. (NYSE: GM) will recall nearly 200,000 Buicks in China over a headlight malfunction. According to the report, Chinese customers have complained that the malfunction has prevented owners from turning on the high beams. So far this year, General Motors has recalled more than 20 million automobiles, which is higher than the entire sales total of the U.S. auto industry each year. 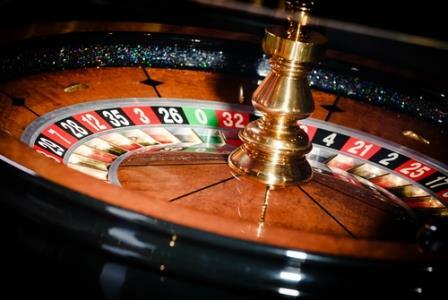 Don't Bet on a Return: Casino operator Caesars Entertainment Corp. (Nasdaq: CZR) announced it was shuttering its Showboat Atlantic City casino in two months. The company reported that declining revenues and increased New Jersey property taxes have made it very difficult to compete in the area. Settle Up: Ahead of a likely $9 billion settlement for violating sanctions against Iran and Sudan, BNP Paribas SA (OTCMKTS ADR: BNPQY) announced it will cut its quarterly dividend and issue billions in European bonds next week. Members of the Hollande administration in France have protested the decisions of U.S. regulators in recent weeks, stating that the U.S Department of Justice and the Securities and Exchange Commission (SEC) have acted unilaterally in holding the French bank accountable.